Killing an estimated 435 000 people each year, malaria must be promptly recognised and treated to save an infected person’s life, and to prevent the further spread of malaria. In 2017, there were an estimated 219 million cases of malaria in 90 countries. Malaria is an infection of red blood cells caused by a single-celled parasite. 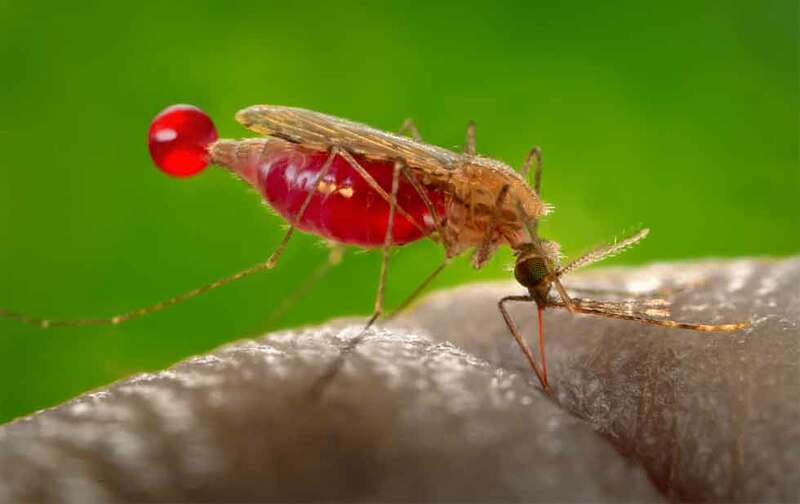 Malaria is almost always spread by the bite of an infected female Anopheles mosquito, but also potentially by a transfusion with contaminated blood, or an injection with a needle that was previously used by a person with the infection. There are four species of the parasite that cause malaria: Plasmodium vivax, Plasmodium ovale, Plasmodium falciparum, and Plasmodium malariae. In Africa the predominant strain is Plasmodium falciparum, which has a very high mortality rate. The first symptoms are usually very similar to ‘flu – aches and pains, fever, headache, and so on. After a few days, the typical paroxysms may occur – chills, followed firstly by a high fever for a few hours, and then by profuse sweating. Between these paroxysms, the patient may feel well, depending on the type of malaria that has been contracted. Some forms of malaria are more severe than others, and the time between the paroxysms differs, depending on the type of malaria. Malaria should be suspected in anybody with these sorts of symptoms who has been to a malaria area. Some varieties of the malaria parasite, which typically cause milder forms of the disease, can persist for years and cause relapses. When travelling to a malaria-infested area, several drugs can be taken to prevent malaria advises Dr Andrew Whitelaw (Stellenbosch University Associate Professor). Until recently – due to their schedule 4 classification – malaria prevention medications required a doctor’s prescription. However, following the rescheduling of a number of these medications to S2, patients can now receive malaria prophylactics over the counter from their pharmacist making them far more accessible. Dr Whitelaw stresses the importance of taking the drugs properly.